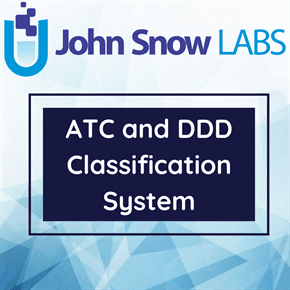 This dataset contains the ATC (Anatomical Therapeutic Chemical) Alterations from 2005 to 2018. Cumulative overview of all ATC (Anatomical Therapeutic Chemical) alterations performed in the period 2005 to 2018. The year changed is when the alterations were implemented in the ATC/DDD (Anatomical Therapeutic Chemical/Defined Daily Dose) Index. Active ingredients which fulfill one of the following criteria will normally be included in the ATC system. They are existing well defined chemical entities used in a variety of countries. In ATC the active substances are divided into different groups according to the organ or system on which they act and their therapeutic, pharmacological and chemical properties. Drugs are classified in groups at five different levels. The drugs are divided into fourteen main groups (1st level), with pharmacological/therapeutic subgroups (2nd level). The 3rd and 4th levels are chemical/pharmacological/therapeutic subgroups and the 5th level is the chemical substance. The 2nd, 3rd and 4th levels are often used to identify pharmacological subgroups when that is considered more appropriate than therapeutic or chemical subgroups.